At Bessheim we serve norwegian, traditional food. 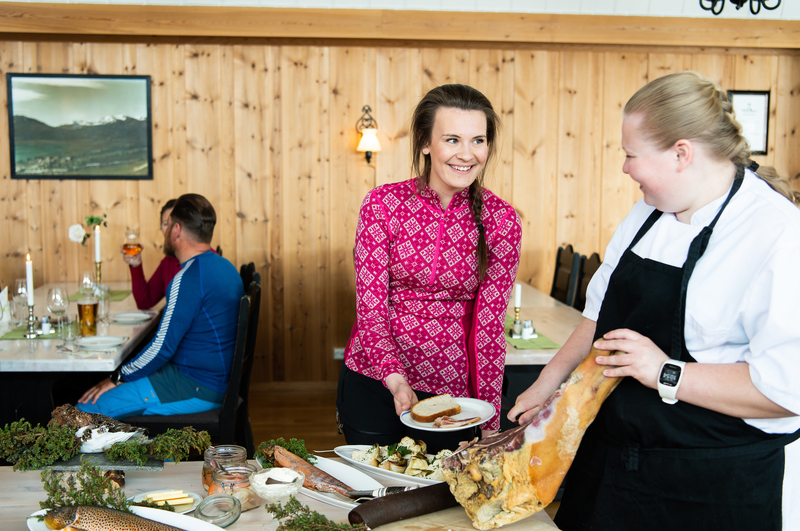 We like to serve reindeermeat from Vågå Tamrein AS, deer and moose from local hunters, and mountain trout from the many good fishing waters in Jotunheimen. Every morning there is a breakfast buffet where guests can make their own lunch to bring along to the mountain hike. During the day we serve dinner from the a la carte menu, and during the evening, from 18.30 – 20.30, we serve a three-course dinner. Please order in advance. We serve wine from the local wine importers Bertel & Martens, and the local brewed beer Høgruta from Lom bryggeri. We serve beer, wine, and liquor at Bessheim. Hubertus brewery at Dovre even made a beer for us called Besseggøl. We serve meals for guests with allergies, but please let us know beforehand. Three course menu summer 2019 – from June 14 – August 18. Menu from Christine Storm Munchs cookbook – Edvard Munchs great grandmother. Buffet with cold and warm dishes and sweets. Some exiting tastes of local food, for example reindeer, moose, deer, mountain trout, cold dishes and desserts. Our three course menu is at 420 kroner. The three course dinner is included in the half-pension. The menu is served 18:30 – 20:30 p.m. each day from June 14 – August 18. Enjoy your meal. The Educational organization Brimi-Kitchen is a collaboration between many foodservice businesses in Vågå, Lom, and Sel. Every business has one or more chef apprentices. Here at Bessheim we currently have Lisbeth and Oscar. Marcus begins in July. Marit and Heidi who are chefs here now got their degrees in 2016. 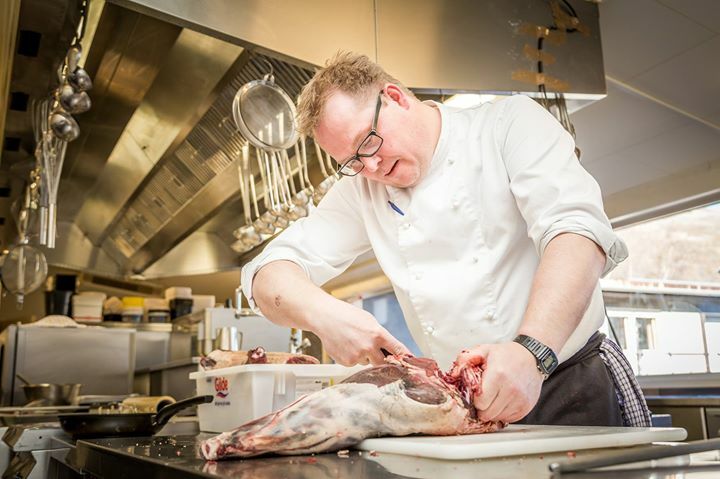 From time to time our chef apprentices go out on excursions, courses, trips and on “Arnedag” with Arne Brimi at his dinning establishment, Vianvang. The apprentices and the business owners both regularly travel together for inspiration and to learn new things from the food world. You cn read more about Brimi-kitchen educational office here.